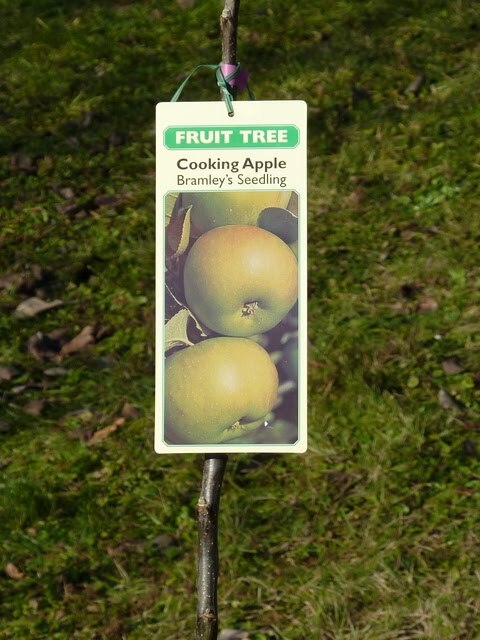 Back in August, I mentioned the impossibility of finding "proper" cooking apples in France & reported finding a couple of potential sites for supplying Bramley Apple Trees, to grow my own. 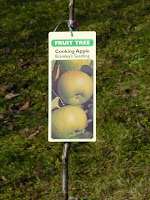 In the meantime, I had long & constructive exchanges with both sites, and eventually ordered a container-grown plant from Orange Pippin (http://www.orangepippin.com/) in UK. After several postponements, they informed me in October that their courrier service to France was having serious problems & they could no longer garantee delivery, so we agreed to cancel the order. I had hesitated about that option previously, in spite of Mike's helpful advice, because I thought the bare-roots shipping & planting process was more critical (less foolproof...) than using a container. Still, with a choice of that or nothing, the decision was easy & the "tree" arrived, weighing next to nothing, but looking healthy, at the end of November. That should have been ideal timing, but not this year, as we were just heading into a week or more of -8°C/-10°C nights. How many years before our first apple pie?